UNICEF estimates that 48 percent of children between six and 59 months old in sub-Saharan Africa suffer from vitamin A deficiency, which can lead to preventable childhood blindness and increase the risk of death from common illnesses, such as diarrhea. Sweet potato-fortified bread developed at South Dakota State University is helping fight vitamin A deficiency in Africa. Visiting scientist Daniel Mbogo of the International Potato Center in Kenya is working with assistant professor Srinivas Janaswamy to formulate breads with sweet potatoes that will enhance vitamin A in diets. Janaswamys research in the Department of Dairy and Food Science focuses on starch digestion and micronutrients. Vitamin A deficiency is a huge problem in sub-Saharan Africa, said Mbogo. USDA did a good job in matching us - its a very good synergy, said Janaswamy. I am interested in how the starch is being digested and how that might help to address diabetes. Daniel comes at a perfect time because he is developing a product that might have different digestion properties. Through these collaborative research projects, we seek to empower scientists in developing countries and advance research that will improve agricultural productivity, transfer science and agricultural technologies to strengthen agricultural practices and reduce barriers to technology adoption, addedTim Sheehan, who oversees scientific exchange programs for the U.S. Department of Agricultures Foreign Agricultural Service. Ultimately, the Borlaug program increases food security and supports economic growth. Although sweet potatoes are a major food crop in Africa, the most common varieties have white or yellow flesh and low levels of beta-carotene, Mbogo says. The International Potato Center developed orange-fleshed sweet potato varieties, which contain high beta-carotene levels and are better suited to African fields and palates. At the food and nutritional evaluation laboratory in Kenya, Mbogo helps private sector partners formulate and produce bread enriched with sweet potatoes. Evaluating the breads starch digestibility and nutritional potential is what brought Mbogo to Brookings. Here, I can get trained and use equipment to do a bit of research that we are not able to do at our lab, he said. First, Mbogo incorporates varying levels of sweet potato puree into the bread dough, adjusting the formula while still maintaining the qualities people expect in a loaf of sliced bread. The loaves are processed and baked in a bread machine. Then he evaluates the physical characteristics of the bread - volume, texture and sensory attributes. A panel of taste testers will also give him feedback on the final product. Mbogo then evaluates how incorporating sweet potato changes the breads digestibility. He uses the Englyst method, an established technique to understand how starch digests in a lab setting without using human subjects. We are predicting sweet potato-fortified bread will take a longer time to digest, Janaswamy said. If so, the product might potentially help diabetics regulate their blood sugar. The next step is to determine how much beta carotene the body can absorb. By carrying out simulated digestion in oral, gastric and intestinal phases, they are studying how much of the beta carotene is released from the bread matrix and is bioavailable for absorption by using human intestinal cells. By calculating how much beta carotene the cells absorb, the researchers can determine available vitamin A and, therefore, the nutritional benefit consumers can get from a serving of sweet potato-fortified bread. Many specialized cells - such as in the skin, gut or blood - have a lifespan of only a few days. Therefore, steady replenishment of these cells is indispensable. They arise from so-called "adult" stem cells that divide continuously. In addition, there is a group of very special stem cells in the bone marrow that were first discovered in 2008 by a research team led by Andreas Trumpp, who is a division head at the DKFZ and director of HI-STEM. These cells remain in a kind of dormancy most of the time and only become active in an emergency such as bacterial or viral infections, heavy blood loss, or in the wake of chemotherapy. Once their work is done, the body sends its most potent stem cells back to sleep. The scientists assume that this protects them from dangerous mutations that may lead to leukemia. The mechanisms that activate these special stem cells or make them go back to sleep after their work is done have remained elusive until now. The scientists have now identified retinoic acid - a vitamin A metabolite - as a crucial factor in this process. If this substance is absent, active stem cells are unable to return to a dormant state and mature into specialized blood cells instead. This means that they are lost as a reservoir. This was shown in studies with specially bred mice whose dormant stem cells are green fluorescent. "If we feed these mice on a vitamin A-deficient diet for some time, this leads to a loss of the stem cells," says Nina Cabezas-Wallscheid, first author of the publication. "Thus, we can prove for the first time that vitamin A has a direct impact on blood stem cells." This finding not only enhances our understanding of the development of blood cells, it also sheds new light on prior studies that demonstrate that vitamin A deficiency impairs the immune system. "This shows how vitally important it is to have a sufficient intake of vitamin A from a balanced diet," Cabezas-Wallscheid added. 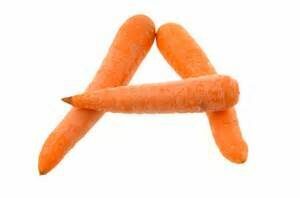 The body cannot produce its own vitamin A. The scientists also have hopes for new prospects in cancer treatment. There is evidence that cancer cells, like healthy stem cells, also rest in a state of dormancy. When dormant, their metabolism is almost completely shut down and this makes them resistant to chemotherapy. "Once we understand in detail how vitamin A or retinoic acid, respectively, sends normal and malignant stem cells into dormancy, we can try to turn the tables," explained Trumpp. "If we could make cancer cells temporarily enter an active state, we could thus make them vulnerable to modern therapies." In collaboration with colleagues from the European Bioinformatics Institute in Cambridge, the team performed genome-wide analyses of single cells and discovered that the transition from dormant to active stem cells and then on to progenitor cells is a continuous one and follows a different path for each individual cell. So far, scientists had assumed that specific cell types develop step by step in a defined pattern. This finding revolutionizes the previous concept of how cell differentiation in the body takes place. Cornell University engineers and nutritionists have created a sift solution for a challenging global health problem: a low-cost, rapid test to detect iron and vitamin A deficiencies at the point of care. "Vitamin A and iron deficiency affect more than one-third of the world's population, says senior author Dr. Saurabh Mehta, associate professor of global health, epidemiology and nutrition in the Division of Nutritional Sciences. Problems resulting from these deficiencies such as blindness, anemia and death, particularly among children and women are a major public health challenge." The small, portable diagnostic system about the size of a lunchbox contains a blood sample test strip, like those used by diabetics. The group found a way to include on the test strip three types of antibodies, which bind to specific biomarkers in the individual's serum. "The sampling process is similar to picking up iron among other metals," said first author Zhengda Lu, a doctoral candidate. The strip measures concentrations of retinol binding protein, important for eyesight; C-reactive protein, an infection indicator; and the protein ferritin, to find anemia. The test takes 15 minutes to complete. "We must address the micronutrient problem at the individual level which is a much easier task, says David Erickson, senior author and Sibley College Professor at Cornell's Sibley School of Mechanical and Aerospace Engineering. The key to solving these micronutrient deficiency problems is early detection and early intervention. Having information, we can change or supplement diets, if we know who is deficient - and we are more likely to prevent complications, and keep children and women healthy." At any given time, about 250 million preschool-age children globally are deficient in vitamin A, according to the World Health Organization. In those regions where childhood deficiencies are prevalent, pregnant women are likely vitamin A deficient and anemic, as well. Annually, up to 500,000 vitamin A-deficient children around the world become blind and about half of those children die within a year, as they become vulnerable to other diseases. "Doctors and health professionals have sought to reduce the burden of micronutrient deficiencies and their consequences, but it's difficult since we must detect them early on to have the largest impact," Mehta said. "Most developing countries don't have access to the needed, sophisticated tools to enable early diagnosis. This test has the potential to solve that."